Here’s another fun winter sports image which is also another quick to color image, we can all use those! The sky was created with the brayer technique on regular white cardstock. Spellbinder Nestabilities was used for cutting out the moon after the image was stamped and colored with Prismacolor pencils. No dry embossing. Both trees are stamped using the same image. On the left I used portions of the image and a stamp positioner to create a different looking tree. The snow is created with Sticky Powder and glitter over two layers of torn cardstock. The blue to the right in the snow is where I didn’t cover the panel with sticky powder; it’s sponged with blue ink to look like a frozen lake. Hello everyone! I hope your Christmas holiday season has been a wonderful one! I know mine has been! Today's card is one that I had a lot of fun making! I love this technique of embossing clear plastic. I used a piece of laminating film that was a scrap from something I had laminated a while ago, but I could just as well have used some recycled packaging. You know the kind, that plastic that is so hard to get into and is around just about everything these days, from crafting tools to ink cartridges. 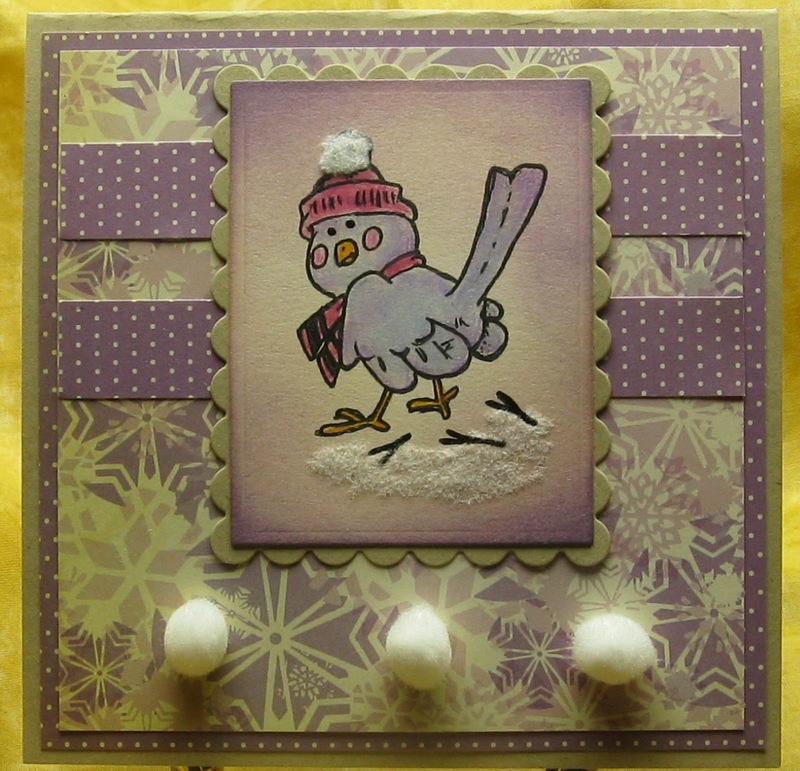 First, I embossed it with my Cuttlebug and the Snowflakes Embossing folder then set it aside while I worked on my image. The image is from QKR Stampede and is titled Best Friends (#23502) I stamped it onto white card stock and colored it with water color crayons. I used Icicle Stickles to give the snowman some nice sparkle. I love the Icicle Stickles, depending on the light and angle, they show up different colors. Sometimes blue, sometimes purple or pink. I layered the image onto a scrap of pink paper from my scrap stash, then attached the embossed laminating film to it with pink brads. This was then adhered to a blue card base. 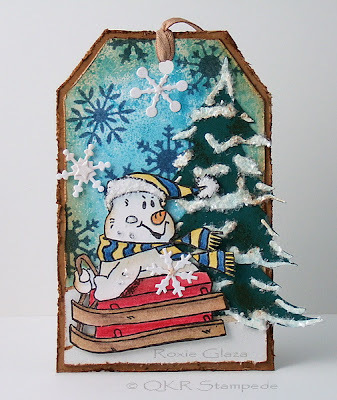 I love the look of the embossed snowflakes over the image! What do you think? Be sure to leave a comment and let me know. Thanks for stopping by the blog today. Be sure to stop by the QKR Stampede store and see what images you might like to try this technique with. There are a lot of wonderful choices. And did you know there is the choice of using digital too? Yep! 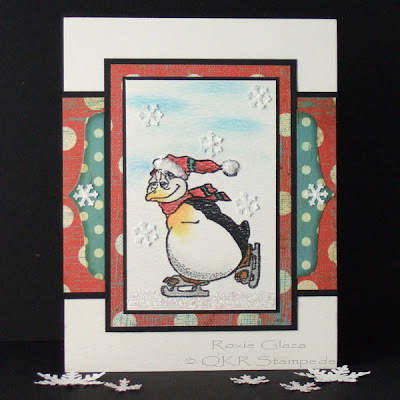 QKR Stampede has digital images as well as rubber stamps! Go check them out! I hope you will have a happy, healthy and crafty 2011! Today I can show you the last time this year a card. 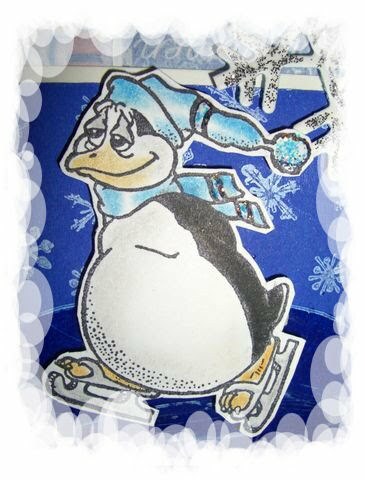 I decided me for the wonderful penguinimage Cross Country Skiing. The background was embossed with the Big Shot. I colored with watercolor pencils and then wiped with turpentine. The penguin, I sent a saying "Guten Rutsch ins neue Jahr 2011", which translates direct to english "Good slip in the new year 2011" or better translate "Happy new Year". Good morning, crafting friends! Did you survive Christmas? The holidays are a fun and busy time, especially in my house. So I hope you will forgive me for not having any NEW things to share with you. Instead, I thought I would post my top five favourite QKR creations from 2010. Here they are, in no particular order, of course! As you can see from this post, there are so many different kinds of stamps at QKR Stampede. 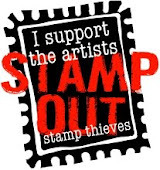 I love the variety of them - there is pretty much a stamp to suit my every whim! If you are new to this blog, I encourage you to check out the store and do a little shopping. You'll be glad you did! Well, I am off to spend some time with my family. Happy Holidays to you! May the New Year bring you lots of new crafting time! 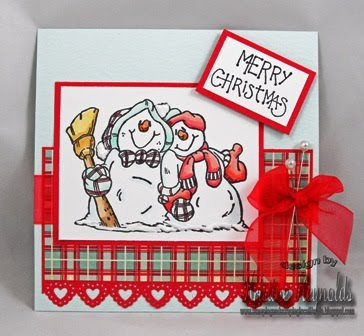 I seriously doubt that there is much blog surfing going on today but if you stopped by for a quick peek I have a sweet little snowman couple card to share with you. If you celebrate, I hope your Christmas is Fabulous! Here’s a fun tag that can be used on gifts or doorknobs for the Christmas season or for fun during the winter months. The tag measures 3 ½ x 5 1/2”. From the corner make a mark 1” down on each side and ¾” across the top. Cut from mark to mark to form a tag shape. For this project a heavy plastic bag from a scrapbooking chain store was used. Cut the plastic to have two layers that opens like a book, ink up one side with Ranger Distress Ink – Broken China, sprits with water, lay the tag in the ink cover with the second piece of plastic and press down. The navy snowflakes are sponged on the card; punches and die cuts were used to make a stencil. The tree is a Sizzix die which was decorated with 3D paint and the flakes were added while the paint was wet. Flower soft was used for the hat. This is popped up with double layers of thick carpet tape. This works well when you want different levels. Prismacolor pencils were used to color the image. Flower soft for the hat. It was cut out with scissors and craft knife. It’s popped up with foam tape. The white snowflakes are attached with glue or foam tape, the stars are attached to the flake with Diamond Glaze due to a plastic coating on the cardstock. The twill tape is colored with a sponge and distress ink. Hi there! I am sure you are all just as ready as me for the crazy weekend ahead. HA HA HA...I am sooo not ready! BUT...like everything else, I am sure it will fall together, and the kids will still have a magical Christmas. Today I wanted to share a NON-Christmas/winter card with you. For some reason I feel like I have been making holiday cards since July, and just haven't stopped, so I needed a change of pace. I picked this Ballet Shoe image from the QKR Stampede store for a couple reasons. #1...I have 3 little girls that love to dance, and #2 I just liked the "beauty" of this image. Isn't this image so pretty? I stamped it with pink ink, and colored with watercolor crayons. I added some Smootch Pearl to the ribbons, and then fussy cut it out. Now the entire time I was cutting I had 2 little girls hanging over my shoulder saying..."Don't break it mom!" "Don't cut it apart mom!"...lol. Well I managed to get it cut without any slips. I layered it onto some PP from Imaginisce, and onto a white CS base. The word "dance" is some letter stickers I had on hand, and I added some pink stickles to them. The heart border is one I got at a crop a couple weeks ago. Now the ribbon...so I was doing some blog hopping and stumbled upon this. I wish I could give credit to who I saw it, but I can't remember =( So...this is NOT my original idea, but I had to try it. I used a punch for the edge of the pink CS, and simply laced the ribbon around. It reminded me of ballet shoe laces. I thought it was so pretty, and will be doing this again for sure! Well...I hope you have a wonderful holiday season, and a great New Years! I look forward to sharing some more of these awesome QKR Stampede images with you in 2011! Be sure to stop back and see what the other DT ladies have for you between now and then! Hi everyone,it is me Dawn . I am back today with a Christmas card to share. I hope you enjoy this one. It is very close to Christmas and I wanted to take the chance to remind everyone about the reason for the season. I used In the Manger today and the sentiment is The Reason. I have seen this stamp used by others and knew I wanted to attempt to make a card also. I used several Spellbinders to make the book shape, and also the shaped background. Card stock from CTMH and the silver is from a package sold at Michaels. Ribbon is from Really Reasonable Ribbon. Hope you enjoyed this beautiful image, I gave you the links above if you would like to purchase any yourself. I want to wish everyone a blessed and safe holiday. 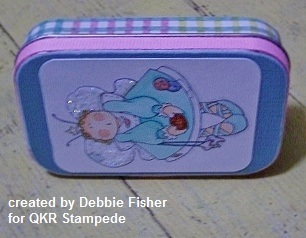 Today for my QKR Stampede project, I have a fun little tooth fairy tin to show you made with a generic brand altoid tin. I covered the top and side with paper using Tombow's Mono Adhesive Power Bond (love that stuff!) and then printed this QKR digi image Tooth Fairy. I like the digi images for projects like this. I can shrink or enlarge them to fit whatever project I want to make. This image was shrunk to a 2" width. Using the Mono Adhesive Power Bond again, I adhered ribbon to the lid edge. I used Mono Aqua Liquid Glue to the wings to add glitter and to the buttons, coin and teeth by itself to add shine. It works as a crystal effects type of product. Love that! By the looks of this cute stamp I believe they do. I hope you enjoyed the Blog Hop yesterday I did not get to join in because I have been in Colorado house hunting for the past two weeks . 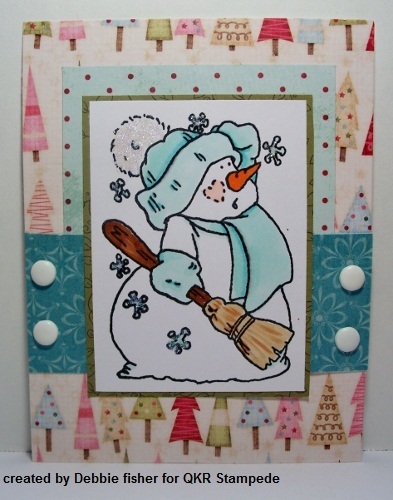 For my card I used Football Snowman and some old paper I found in my stash from close To My Heart. I have coloured Santa with a mixture of Prisma pencils and Sansodor and Copics, I have mounted him onto red card, I inserted the sentiment by way of my graphics programme, the base paper is Bearlymine, I added some red mirri card topped with lace, added stickles to his fur trim and for a snow effect, finally I added some card candy. 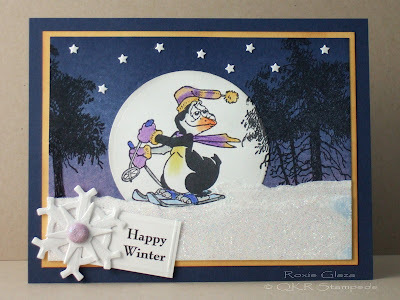 WELCOME to the QKR Stampede "WINTER FUN BLOG HOP"! 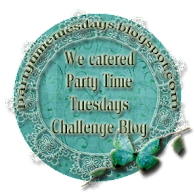 We are so excited to show you what we created for this FUN Blog Hop and SO glad you have come to join in on the FUN! Now on to some Sneak Peeks from our talented Design Team! And, A card from our DT member Dawn. She couldn't join us for the hop today, so we wanted to share this awesome creation with you here! Be sure to leave her some love here, or on her BLOG. She used the Girl Sledding image. If for some reason one of the links is broken along the Hop, do not worry. HOP back over to the QKR Stampede Blog (where you are now!) for a complete list. SO...hop on over to see each of the DT Ladies Creations! and see what she has for you! Before I tell you about today's card, I want to remind y'all to come stop by tomorrow (Friday, December 17th) for the QKR Stampede Design Team Blog Hop. We have some wonderful projects planned for this hop, you will be sure to get some great inspiration from them. I don't know about all of you out there in Bloggerland, but here in my home we are big hockey fans. Of course we live in the Buffalo, NY area and have the Sabres!!!! When I saw this QKR Stampede image "Playing Hockey" (#14203) I knew I had to have it. To create this card, I started with Kraft card stock cut to 8.5" x 5.5" and scored it at 4.25" I stamped "Playing Hockey" onto white card stock with VersaFine Black Onyx ink and colored it with watercolor pencils. I used a bit of Glossy Accents on the skate blades and the "ice" to give it a little shine. Then I used some Sticky Powder from QKR Stampede to add some glitter to the hockey player and the snowflakes around him. If you check out the home page at QKR Stampede there is an area where you can learn more about Sticky Powder. I'm having a lot of fun playing with this product. I used a Nestabilities die in my Cuttlebug to cut the orange frame from card stock and adhered the image to the frame, then layered that onto the Kraft card base. I found some alpha stickers in my stash for the "go team" and added some dash lines around the inside and outside of the frame to add a little more interest. Rounding the corners with my Corner Chomper finished off the card. I think he's pretty cute, even if the poor guy has a bit of a black eye. Thanks for stopping by today. I hope you have enjoyed my hockey player. Leave a comment and let us know you stopped by and what you think. Happy Wednesday to all of you out there in Blog Land! Today's post comes to you from Minnesota! Today I am featuring a card I made with the stamp "Spoiled Dog" #6601. I am a huge dog lover so I couldn't pass up this cute stamp! I distressed the plain oval before stamping the image in black. I then colored with colored pencils. Background paper is from Scribble Scrabble. Hope to see you at the Blog Hop this Friday! Some months in the year that do not go past forever. But has hardly begun in December, the year is almost finished. Today I can show you another post and I've chosen for the Penguin Ice Skating. I like this image, it is so cute. 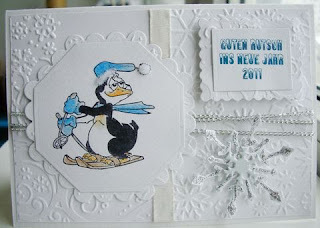 For the penguin I have embossed ice with UTEE. Now he can run at night on the ice with his skates. Hi everyone! I am here to share with you another little Christmas gift that I have been working on. This one is probably going to a teacher or maybe a neighbour. Just little gifts to let them know they were thought of. Pretty simple, really! I made this set of cards using the Smiling Flowers stamp. It was a lot of colouring to make this set, but I think it was worth it. They are simple and cute - the stamp says it all! You can find more where the stamp says it all in the QKR Stampede store! Thanks for stopping by today - and Merry Christmas! HI! Glad you stopped by today. I have a fun little ice fishing card to share with you. I thought this sentiment was really cute with this adorable ice fishing penguin. I've been using so much red and green on my projects lately that it is kind of nice to use some cool blues on this one. I hope you like it! 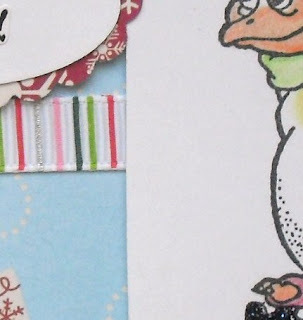 This Ice Skating penguin image is so easy to work with, it requires very little coloring and you can't help but smile when you see that face! Prismacolor pencils, baby oil and paper stumps were used to color the image and sky. The snowflakes are from a Fiskars border punch, when I want just the snowflake I cut ½” strips and place the end of the strip into the punch at the snowflake design as I’m looking at the bottom of the punch. They are glued to the card and I placed a drop of glitter adhesive in the center to hold the glitter on. Glitter adhesive was also used to place the glitter on the image panel. Tacky glue was used to attach the Flower Soft to the hat. Hi there...Jessica here with you today. Today I wanted to share a project I made using the Snowman Scene image. There are actually 2 of these gorgeous big images in the QKR Stampede store. They are so pretty, and a simple way to create a card. Just stamp this image, color, and add to a card base. It is so nice just by itself. Here is what I created with it. I made this tissue box cover using THIS tutorial I found a couple months ago. I thought this image was a perfect fit for this tissue box cover. I used kraft CS for the main part of the box. 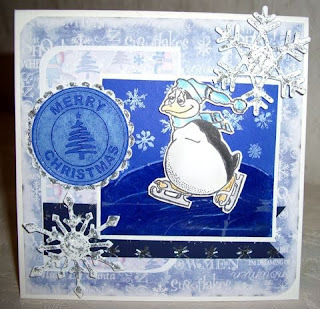 I also used kraft for the sides, and ran them through the Cuttlebug with the snowflake embossing folder. I ink distressed all the sides and snowflakes. I stamped the image onto kraft, and embossed with white embossing powder. I colored the image with colored pencils and Gamsol, then attached to the box using foam tape. I also added some cream lace, bows, and the snowflake charms. That is all for now! Thanks for stopping by today! Hello Everyone- Dawn here again with a quick card for my turn today at QKR Stampede. I chose to share two views of the same card with you of one of my favorite images.In the Manger is such a simple image but just so beautiful. I must admit I was a little perplexed on how to color him- using my Copic markers. I hope I did alright? I also used the sentiment from QKR Stampede store. My book shaped Spellbinders was used to make a window in the card and frame.Then I stamped the image on the smallest shape. I tried to pop dot to give it dimension and the book feel. Simple ribbon from my stash. Have you shopped the sale yet ? All unmounted stamps are 50% off December 1st through the 8th. Shop online at QKR Stampede (www.qkrstampede.com). Prices shown on the site will not reflect the discount. At checkout, enter the word december in the coupon code,click *apply*, and the prices will be adjusted to the sale price. They are in the process of moving the companies over to the new server and have the final section of the shopping cart shut down. Once you receive your order, you will receive an email with a link to the new server where you can enter your master card or visa information. They also accept paypal, checks, and money orders. This sale also includes the new webpages for Eureka Stamps and Biblical Impressions. You may include designs from both of them during this special -- they will adjust the total to 50% off and combine shipping. So POP I mean run over to QKR Stampede and pick out some great unmounted stamps. Good Morning! I have a new (to me) image to show you. I colored the image with Copic and used paper from my scraps to create this card. This is called Seeking Snowman and reminds me of the line in the song "Do You Hear What I Hear". Hi there and Happy Saturday! 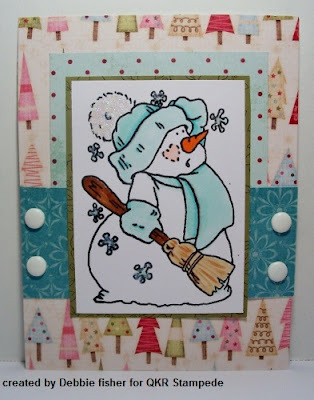 It's my day to share a card with you and I have an addiction to snowmen so I chose to share this cute stamp Seeking Snowman. I colored my image with Copic markers and used Echo Park papers they are my favorite and they are the perfect match for snowmen. 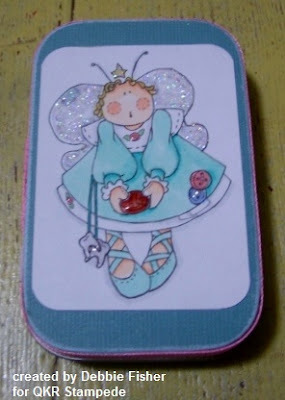 Hi all today I am showing this gorgeous image of the Ragdoll Angel available from HERE I have coloured her with Copics and added some gold glitter I think she is so beautiful, I used blue tartan paper, lace, snowflake brad and sentiment. I do hope you have enjoyed your visit. Ho Ho Ho to all of you! Today I am showing you a card I created with the Santa Snowman (#16704) image from QKR Stampede. Is he cute or what? I stamped him onto white card stock and colored the image with water color pencils. I added a bit of Diamond Stickles to the hat and Red Stickles to the berries to give it a some dimension and sparkle. The image was adhered to red card stock and then layered onto white card stock. The sentiment is a sticker from a set that I found at The Christmas Tree Shop for only $.50, what a deal! This card measures 3 1/4" x 5 1/2" so it isn't a standard size, but it will fit into an A-2 envelope. Here is a tip, when mailing an off size card in an A-2 envelope, take small pieces of foam tape and put them into the bottom of the envelope, making sure that the card will still fit into the envelope properly. With this bit of foam tape in the bottom of the envelope the card is sitting at the top when the envelope is opened. This same technique can be used when a card is not as wide as the envelope, simply put the foam tape along the sides of the envelope. Thanks for stopping by today, I hope you like my card. Leave me a comment and tell me what you think. Be sure to stop back soon, we'll have more projects to show you each day. Hello Friends! Today's card comes to you from Minnesota. I thought I would pull out this cute little bird stamp. It is called Walking Birdie #14706. Looks to me like he may be heading south! 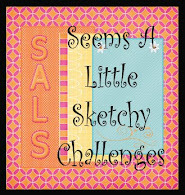 I used Sweet Sketch Wednesday sketch # 75 for my layout. Background paper is Cosmo Cricket Mitten Weather. Distress inks in Antique Linen, Mulled Lavender and Concord Grape. Image colored with colored pencil. Thanks for spending time at the QKR Blog today!